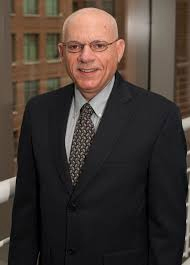 The serious outbreaks over the past few months indicate that industry continues to experience “significant food safety problems”, said Stephen Ostroff, FDA deputy commissioner for foods and veterinary medicine at the IAFP annual meeting last week. He referred to the most recent sizable produce-associated outbreaks involving romaine lettuce, pre-cut melon and veggie trays, as well as the Kellogg Company recall of Honey Smacks cereal and the Rose Acres eggs recall, both of which were due to Salmonella. “We have a lot of work to do,” said Ostroff, adding that the numerous recalls involving kratom products is concerning. These issues highlight how the increasingly complex supply chain further complicates problems once they arise. Ostroff emphasized the necessity of end-to-end tracing, from product origination to where the consumer can access the product, and that it needs to be efficient, standardized and rapid, especially for commodities. Regarding the E. coli O157:H7 outbreak involving romaine lettuce, FDA is still trying to determine the source and mode of the contamination. And while the recent finding of the outbreak strain in the irrigation canal water is important, it still does not answer the question of how the contamination got into the canal, said Ostroff. The latest FDA update on the outbreak investigation stated that additional samples are being analyzed on an ongoing basis and any new matches would be publicly disclosed. As of June 28, the CDC announced that the outbreak was over.